“Selfie” was the number 1 buzzword of 2013 and the craze for taking self-portraits with a smartphone and sharing them on social media shows no sign of abating in 2014. But a driving selfie craze that comes with its own hashtag for sharing on social media is an alarming development and this year there has been a number of car accidents resulting in injury and even death where drivers are reported to have taken “selfies” shortly before tragedy struck. 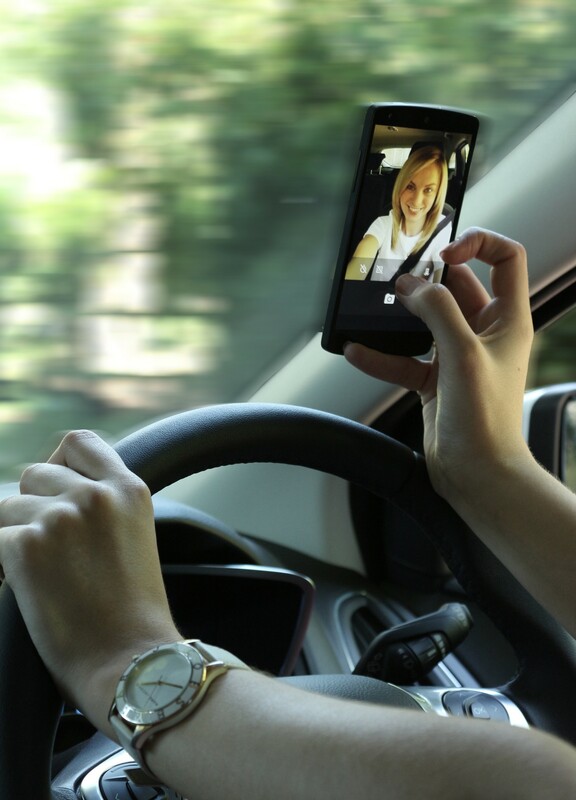 A recently published survey by Ford gives some insight into the extent to which young people are interacting with their smartphones while driving with the survey of just over 7000 Europeans aged between 18 and 24 finding that 1 in 4 young people have taken a “selfie” at the wheel. Nearly half of young drivers admit to having used their smartphone to snap a photograph behind the wheel and 1 in 4 have posted an update on social media or checked social media sites while driving. The irony of it all is that nearly all drivers surveyed agreed that the activities were dangerous. Driver distraction from in-car technology or mobile phones has begun to come under greater scrutiny as our cars offer us ever more options to stay connected on the move. Ford has found that snapping a “selfie” at the wheel can distract a driver for 14 seconds, and checking social media channels can distract for 20 seconds – long enough for a car travelling at 100 km/h to cover the length of five football pitches. In a series of videos released by Ford to highlight the risks of using smartphones behind the wheel (below), the message is clear – don’t let a selfie be the last photo you take.